Film. By Teaching for Change. 2006. 15 min. First grade teacher Maggie Donovan (SNCC veteran) introduces her students to the fight to desegregate the buses, placing Rosa Parks in the context of the larger community efforts. A first grade teacher introduces her students to the struggle to desegregate the buses in Montgomery, placing Rosa Parks in the context of the larger community efforts. We see how the lesson involves families, promotes literacy, and culminates with a student-authored play. Teaching About the Montgomery Bus Boycott documents the work of teacher Maggie N. Donovan and first graders in the Ezra H. Baker Elementary School in West Dennis, Massachusetts. 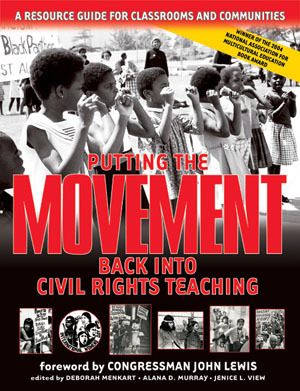 Produced by Teaching for Change. Funded by LEARN (Learning, Equity Achievement and Reform Network), a federally funded PT3 Project. Book – Non-fiction. By Herbert Kohl. Intro by Marian Wright Edelman. 2007. 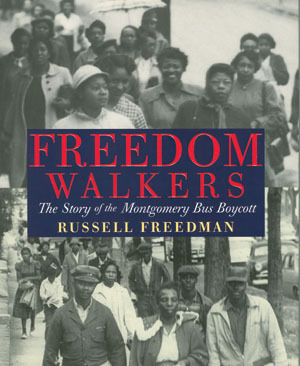 The myths and facts about Rosa Parks and the Montgomery Bus Boycott. Book – Non-fiction. By Russell Freedman. 2006. 114 pages. 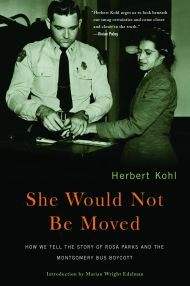 Written for middle school, the story of the Montgomery Bus Boycott, in which Rosa Parks played a role but was not the sole hero.